How to exchange information tomorrow? The 2008 financial crisis has left deep traces in our financial system and our society. Nowadays, people are becoming more aware of financial risks and weaknesses in our centralized system, which is mainly managed by governments and banks. In fact, the Subprime Crisis led to such huge economic consequences that even one of the biggest multinational investment banks at that time, namely Lehman Brothers, just collapsed and disappeared. However, one person chose that terrible moment in financial history to introduce his unique creation, which was going to change the way we do transactions. His pseudonym is Satoshi Nakamoto and he created a revolutionary system of transactions, namely the Blockchain. Right after Lehman Brothers’ blackout, a paper called “Bitcoin: A Peer-to-Peer Electronic Cash System” was published. In fact, this paper of 9 pages briefly explains how the Bitcoin works, a digital currency experiment using an innovative technology called the Blockchain. The release of this first Bitcoin protocol in 2008 has attracted the interest of a lot of cryptologists, mathematicians, programmers and even politicians. 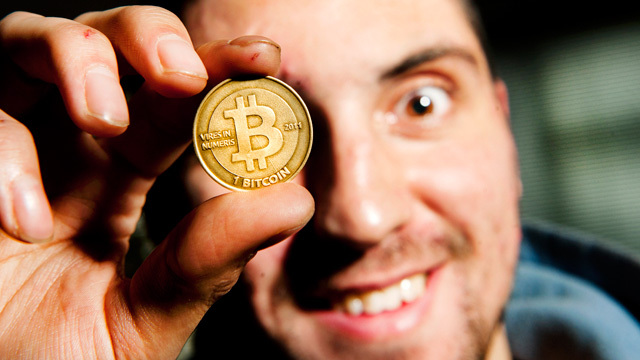 Nowadays, the Bitcoin is a source of speculation and financial press because of its huge increase in currency value. Recently, BTCUSD (the equivalent value of 1 Bitcoin in US dollar) has reached 5’000 $ on the 1st of September 2017. In 2010, 1 Bitcoin was worth 0.003 $. If you would have bought 10 $ worth of Bitcoin at that time, then you would have become rich, very rich. Today, one Bitcoin is worth more than 4’000 $. Now you know a bit about the Bitcoin. However, the most interesting and promising part about cryptocurrencies is its underlying technology: the Blockchain. In the future, Blockchain technology will change our society and the way we exchange information. The main point about the Blockchain is the fact that its system is decentralized, which means that the information is owned by everyone connected to the system; it is a system of distributed ledgers. For instance, if Alice and Charly belong to the same network, then Alice and Charly know the entire information, which has been and is circulating inside this network. Thus, Alice knows that Charly has received X amount of Bitcoin since the network was born and vice versa. Actually, the data of transactions and its complete history is known by every actor of the system. The icing on the cake is that all the information is encrypted and the maths used are so complex that it enables anyone from the system to verify the inflows/outflows of Bitcoin in every node of the network. Therefore, the Blockchain network autonomously uses computational algorithms in order to regularly verify the integrity of the decentralized release of information. In contrast, the system, in which we are living nowadays, has traditionally been centralized with a government and central bank at the center of information exchanges. The flow of the information is transmitted through individual nodes, which together form the entire decentralized network; the information and its history are stored in each node. Therefore, there is no need for a centralized third party in order to regulate the transaction and make a profit from it. For instance, in our current society, a bank or lawyer would be necessary to make most of transactions. In fact, trust is not a crucial component as part of Blockchain trading because each node can verify where the transaction comes from, as well as its entire history. The identity of each actor involved in a transaction is represented by a 30-plus-character alphanumerical address, which is known by everyone. Transactions are made between Blockchain addresses and are visible by everyone connected to the network. “We have elected to put our money and faith in a mathematical framework that is free of politics and human error.” Tyler Winklevoss, Co-creator of Facebook, top investor in Bitcoin. 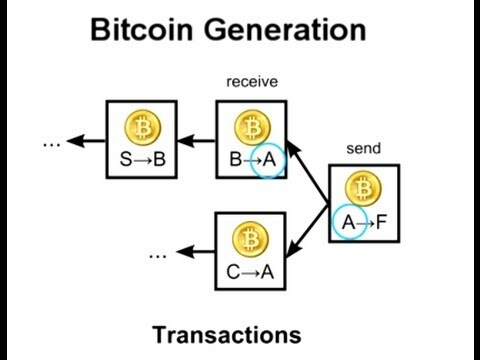 Once a transaction is completed, it is approved by the entire network and stored in the transactions history; each validated transaction enters in a “block of transactions”, which is then chosen by the network and joins the Blockchain (hence the term “chain”). Actually, the Blockchain is chronologically ordered, permanent and highly protected by computational algorithms. 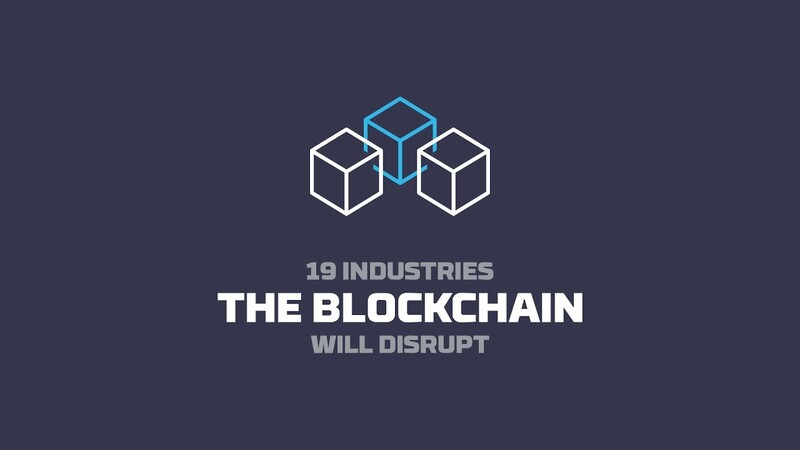 Of course, there is so much more to say about Blockchain technology and its applications. Click to discover the video !